July 23, 2015, 1:21 p.m.
By Laura Hazard Owen @laurahazardowen July 23, 2015, 1:21 p.m.
With Pearson planning to be “completely and absolutely focused on education,” Fallon and Financial Times CEO John Ridding stressed, the $1.3 billion sale made sense. We are at an inflection point in global media. The pace of disruptive change in new technology — in particular, the explosive growth of mobile and social media — poses a direct challenge to how the FT produces and sells its journalism. It presents the FT with a great opportunity too — to reach more readers than ever before, in new and exciting ways. Nikkei has a long and distinguished track record of quality, impartiality and reliability in its journalism and global viewpoint. 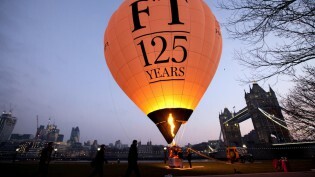 The Board and I are confident that the FT will continue to flourish under Nikkei’s ownership. I’ve every confidence in the FT’s ability to seize the moment, as it has done ably so far, in its digital transformation. The readership is at an all time high, with readers willing to pay more than ever for its journalism. But, after much reflection and detailed analysis of both the opportunities and challenges that lie ahead, we have concluded that the best way to ensure the FT’s continuing journalistic and commercial success is for it to be part of a global, digital news organization that is 100 percent focused on these same issues. And suddenly Nikkei owner Tsuneo Kita becomes one of most powerful businesspeople in the West. But good luck finding a good profile of him. 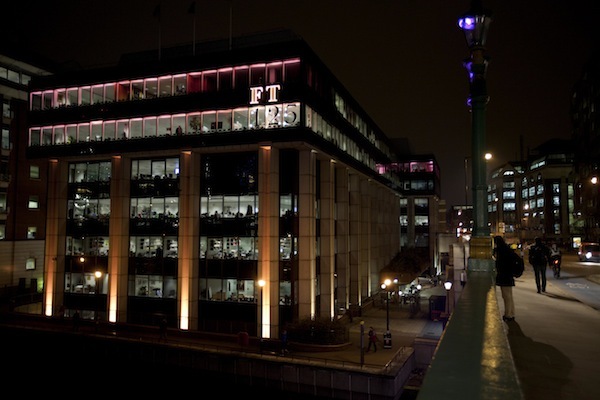 In 1987 Pearson sold the FT's building to a Japanese buyer and kept the paper. Now it's selling the paper and keeping the building. Discuss. Photo of FT headquarters used under a Creative Commons license. POSTED July 23, 2015, 1:21 p.m.
Owen, Laura Hazard. "Citing “an inflection point in global media,” Pearson sells the Financial Times to Nikkei." Nieman Journalism Lab. Nieman Foundation for Journalism at Harvard, 23 Jul. 2015. Web. 25 Apr. 2019. Owen, Laura Hazard. "Citing “an inflection point in global media,” Pearson sells the Financial Times to Nikkei." Nieman Journalism Lab. Last modified July 23, 2015. Accessed April 25, 2019. https://www.niemanlab.org/2015/07/citing-an-inflection-point-in-global-media-pearson-sells-the-financial-times-to-nikkei/.